One of the very few bands originating from the small and politically isolated Eastern European country of Belarus, Rational Diet was an unabashedly intellectual ensemble whose music was not for the faint-hearted. After releasing a total of five albums (the last three of which on Italian label AltrOck Productions) between 2000 and 2010, Rational Diet split up because of a disagreement over artistic direction. 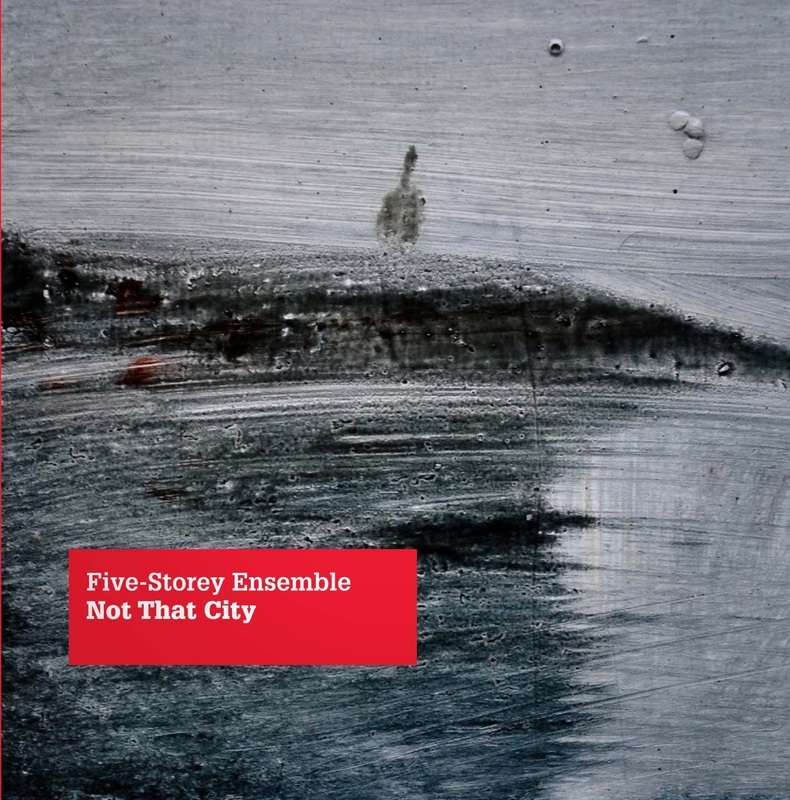 Its members went on to form two separate groups, Archestra and Five-Storey Ensemble, whose debut albums – titled Arches and Not That City – were both released in the spring of 2013. While Arches was released on French label Soleil Mutant (a subdivision of Soleil Zeuhl), Five-Storey Ensemble have remained part of the AltrOck roster. Not That City’s liner notes trace the genesis of this new yet familiar band, explaining the reasons for the change, reflected in the album’s more intimate and “streamlined” sound if compared with Rational Diet’s overly intellectual approach (which had become a liability rather than an asset, hindering the band’s natural development). The transition from Rational Diet to Five-Storey Ensemble was complete when the former band’s remaining members – keyboardist/vocalist/main composer Olga Podgaiskaja, bassist Dmitry Maslovsky, drummer Nikolaj Semitko and reedist Vitaly Appow – merged with Fratrez, a quartet hailing from the Belarus capital of Minsk, whose sound was strongly rooted in medieval and folk music. The lineup that recorded Not That City (a mini-orchestra with no less than 11 members) is augmented by former Rational Diet bandmates Cirill and Nadia Christia and Archestra guitarist Jury Korogoda on a handful of tracks. A mostly acoustic album, performed with instruments generally associated with classical and folk music, Not That City has very few connections to rock music (even of the progressive variety), and the presence of drums and electric guitar/bass is so discreet as to be almost imperceptible. In this and other aspects, Five-Storey Ensemble bring to mind Belgian outfit Aranis, though their sound also bears the unmistakable imprint of the Eastern European tradition. The literary inspiration that had been an essential component of Rational Diet’s output is still very much in evidence: the album features three songs with lyrics by early 20th century poet Alexander Vvedensky, and another two were originally part of the soundtrack for the experimental play Bondman’s Wings. Though Not That City is largely instrumental, some of the tracks feature vocals with an operatic quality that, however, meshes remarkably well with the instrumentation rather than swamping it. Band leader Olga Podgaiskaja’s sweet, achingly wistful soprano complements Sergey Dolgushev’s intense tenor; their duet in the sprightly, folksy “Yesterday Dormant” acquires a dramatic quality from the use of two different themes – melodic, almost pleading for the female voice, more upbeat for the male one. In the intimate, melancholy ”The Incommunication”, the two voices occupy centre stage, while the instruments (mainly piano and bassoon) keep discreetly in the background. Running at a very reasonable 55 minutes, the album as a whole is very cohesive and surprisingly full of melody, with few concessions to those spiky, dissonant moments so often associated with the Avant-Progressive subgenre – the most notable of which can be found in the second half of “A Disappearing Road” and in the complex, riveting textures of the nearly 8 minutes of “The Unpainted”, where the electric guitar is treated like an orchestral instrument rather than a typically rock one. Conversely, the influence of medieval and Renaissance music emerges clearly in the lilting, percussive “To Ringfly” and “The Protector”; while the aptly titled “Fear-Dream”, laden with a dark, menacing tone, taps into a richly cinematic vein that is also evident in “Amid the Smoke and Different Questions”, in which Dolgushev uses his voice as another instrument. The album’s bookends, opener “The Harbinger” and the title-track, sum up the whole of the band’s musical approach, blending almost gloomy solemnity with elegant dance-like passages, showcasing the instruments’ flawless interplay and the band’s mastery of the art of buildup – both examples of stately yet ]mesmerizing 21st –century chamber music with only passing nods to the rock aesthetics. An astonishing beautiful album that (rather uncharacteristically) drew me in right from the first listen, Not That City, as already hinted in the previous paragraphs, has much more in common with modern classical music than rock. Though certainly more accessible than most of the band’s previous incarnation’s output, it does require a good amount of concentration on the part of the listener, as well as an appreciation for the minimalistic, understated approach of chamber rock as compared to conventional prog’s tendency towards bombast. As far as I am concerned, this is one of the top releases of the year so far, and highly recommended to only to fans of the RIO/Avant scene, but also to all open-minded music lovers.